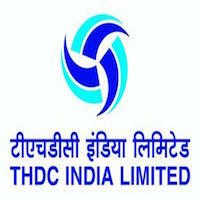 Online Application Details for Tehri Hydro Development Corporation Limited THDC Recruitment of 1 Manager and 2 Deputy Manager is given below. Application form and duly attested documents are to be sent to The Manager (Recruitment), THDC India Limited, Pragatipuram, Bye Pass Road, Rishikesh-249201,Uttarakhand. In envelope super scribed with 'Application for the Post of Post Name'.